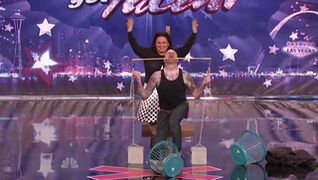 When will be America's Got Talent next episode air date? Is America's Got Talent renewed or cancelled? Where to countdown America's Got Talent air dates? 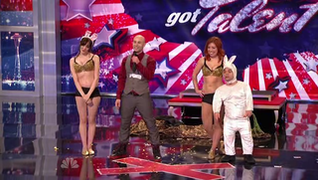 Is America's Got Talent worth watching? The summer's hottest reality competition show, "America's Got Talent," returns for its 10th anniversary season starring judges Howard Stern, Heidi Klum, Mel B and Howie Mandel, and hosted by Nick Cannon. In the 10th season premiere, variety acts of all types and contestants of all ages audition for the chance to win the $1 million prize. This season, the Golden Buzzer allows four lucky acts the chance to go directly to the live performance rounds at Radio City Music Hall to compete for America's vote. 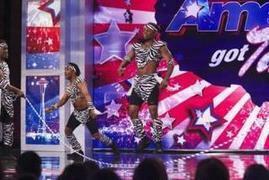 Auditions continue in the 10th anniversary season of "America's Got Talent." Starring judges Howard Stern, Heidi Klum, Mel B and Howie Mandel, and hosted by Nick Cannon, variety acts of all types and contestants of all ages audition for the chance to win the $1 million prize. This season, the Golden Buzzer allows four lucky acts the chance to go directly to the live performance rounds at Radio City Music Hall to compete for America's vote. Celebrity judges Howie Mandel, Mel B, Heidi Klum and Howard Stern make their final decisions in auditions across the country. Nick Cannon hosts this variety competition series which features a colorful array of hopeful future stars as they compete for a chance to perform at the famed Radio City Music Hall and win the $1 million prize. Neil Patrick Harris serves as a guest judge. Here, the auditioning acts have their last chance to wow the judges. Heidi Klum's special celebrity guest judge tonight is singer Michael Bublé who help's narrow down the field of contestants. The special celebrity guest judge tonight is comedian Marlon Wayans who helps narrow down the field of contestants; Wayans' favorite act advances to the top 36. Mel B leads the final night of Judge Cuts with her special guest, former "America's Got Talent" judge Piers Morgan. Morgan's Golden Buzzer choice will go directly to the live shows at Radio City Music Hall, while the remaining acts audition for their chance at earning one of the six remaining spots in the Top 36 and their chance to compete for America's vote in the live rounds. Seven acts advance in a results edition. Eleven semi-finalists perform live at the world famous Radio City Music Hall for the chance to win the $1 million prize and be named the most talented act in America. THE RESULTS ARE IN FROM AMERICA'S VOTE The votes are in and just five of the previous night's performers will move on to the Finals. Tonight, viewers will have one last chance to send their favorite act to the Finals by using Google Instant Save. .
Eleven semi-finalists perform live for America's vote and the chance to win $1 million and a headlining show in Las Vegas. Five acts advance to the final round in a results show. Exciting surprises and highlights of the final performances; the Season 10 winner is revealed; performances by special guests include Rachel Platten, Penn & Teller, Yolanda Adams and the Harlem Gospel Choir, Terry Fator, Freelusion and Mat Franco. 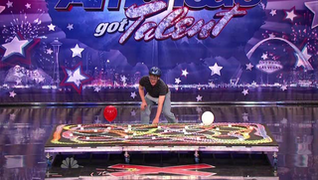 America's Got Talent next episode air date provides TVMaze for you. 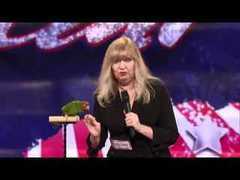 EpisoDate.com is your TV show guide to Countdown America's Got Talent Episode Air Dates and to stay in touch with America's Got Talent next episode Air Date and your others favorite TV Shows. Add the shows you like to a "Watchlist" and let the site take it from there.